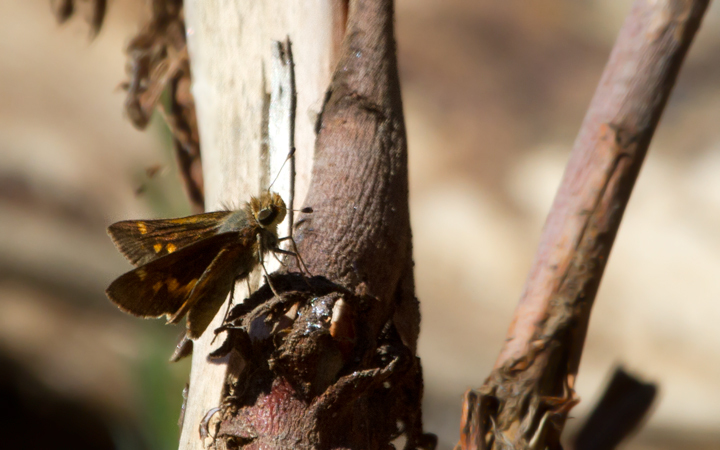 October in Southern California - Page 2. 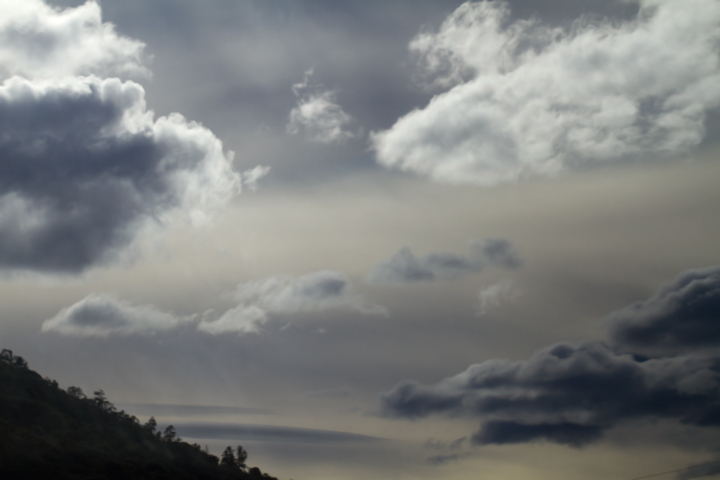 Last updated: 10/15/2011. 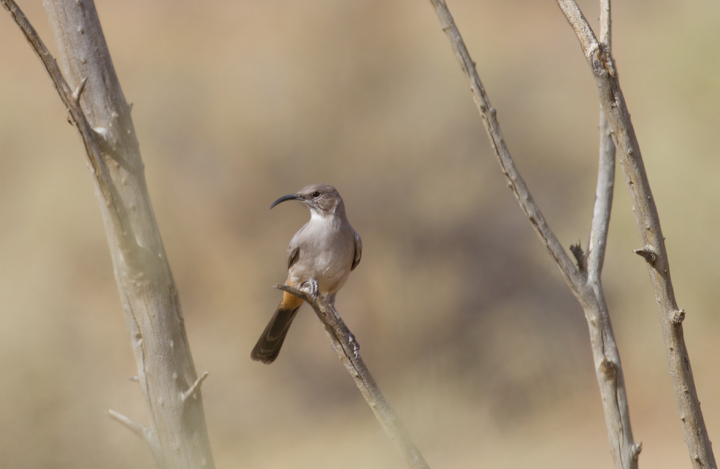 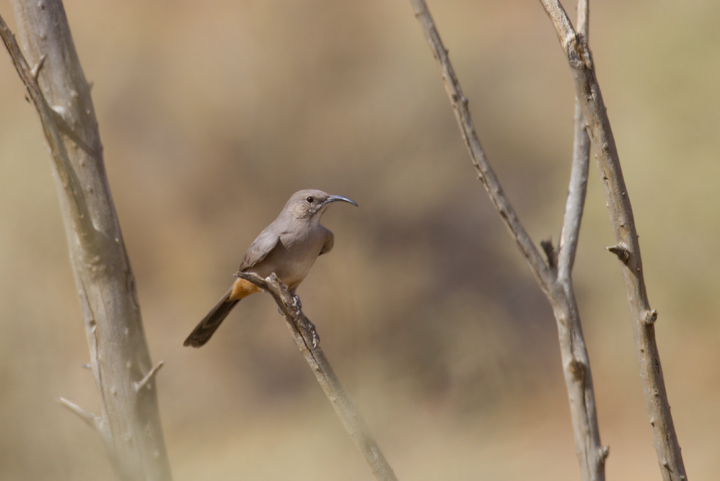 A Le Conte's Thrasher allows rare glimpses as it runs between patches of desert scrub in Kern Co., California (10/3/2011). 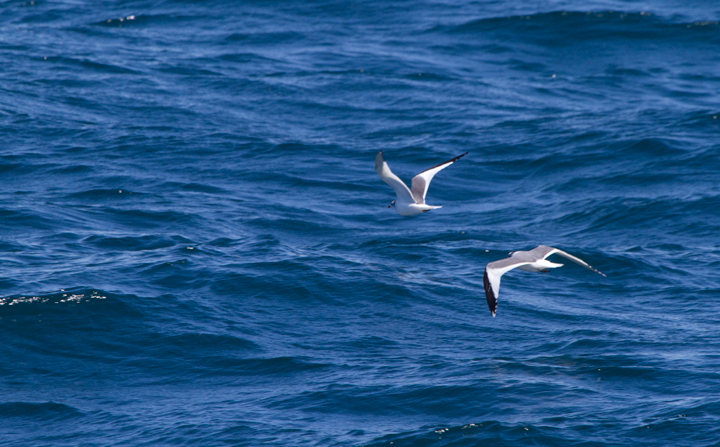 Below: Sabine's Gulls offshore near the Channel Islands in Santa Barbara Co., California (10/1/2011). 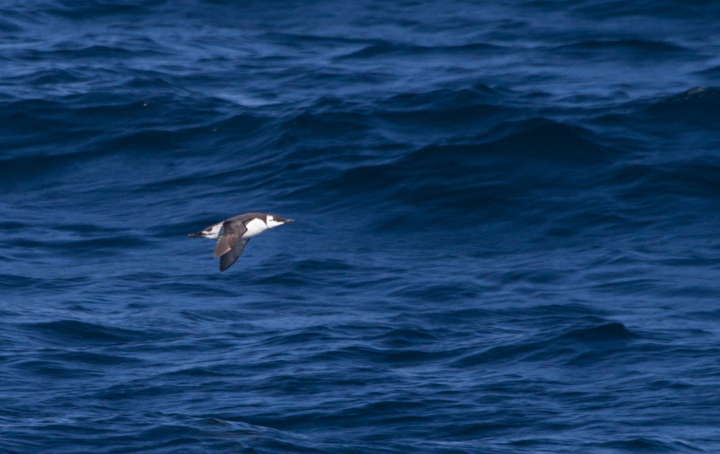 Below: A Pomarine Jaeger off Santa Barbara, California (10/1/2011). 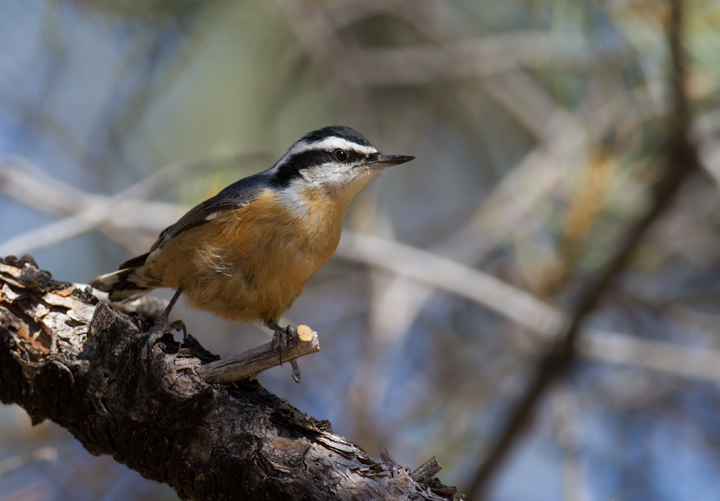 Below: A Red-breasted Nuthatch near Mt. 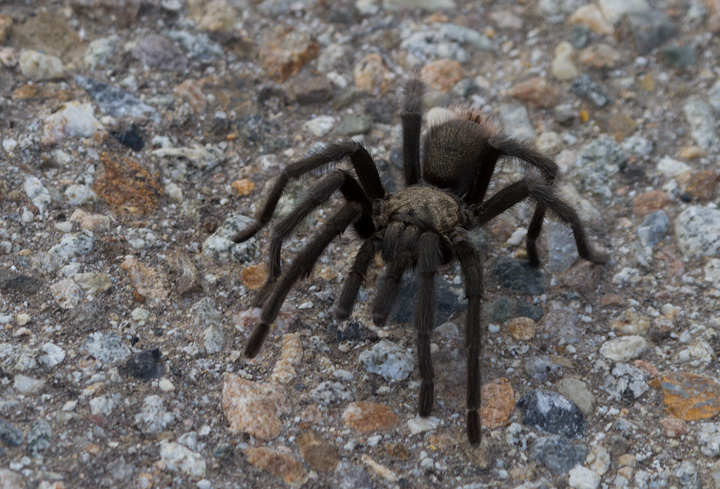 Pinos, California (9/30/2011). 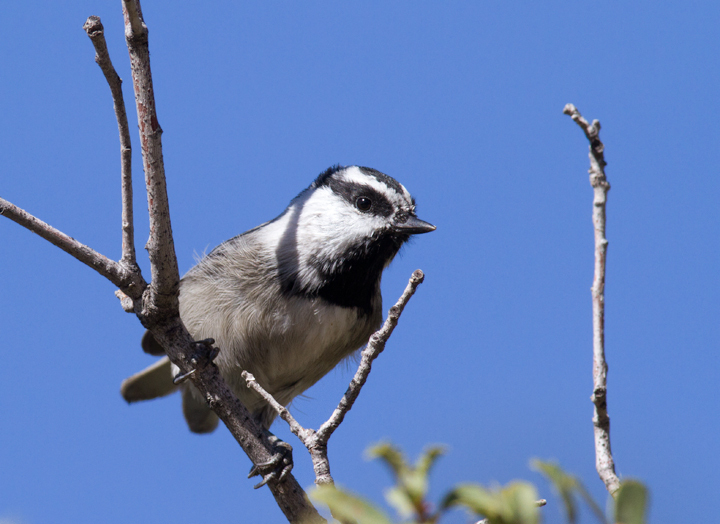 Below: A Mountain Chickadee at Apache Saddle, California (10/4/2011). 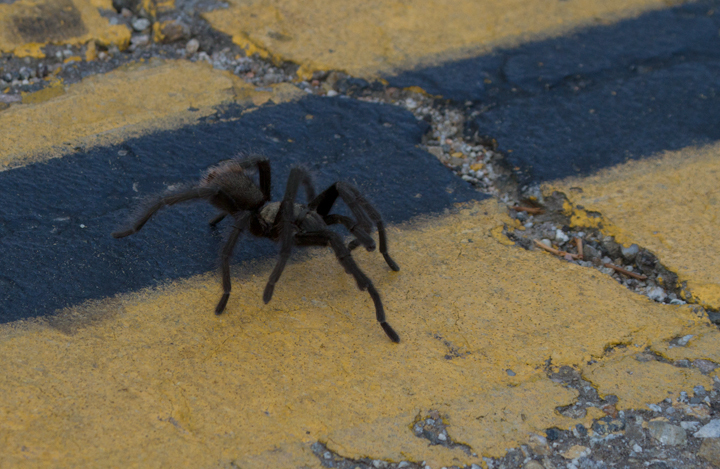 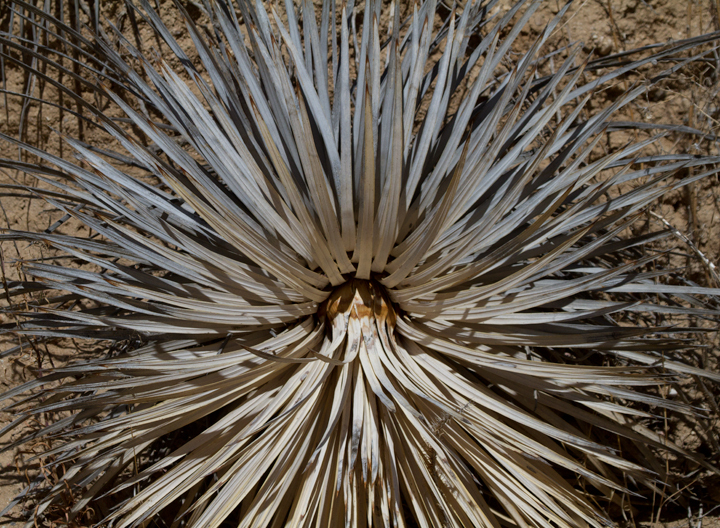 Below: A tarantula near Mt. Pinos, California (10/2/2011). 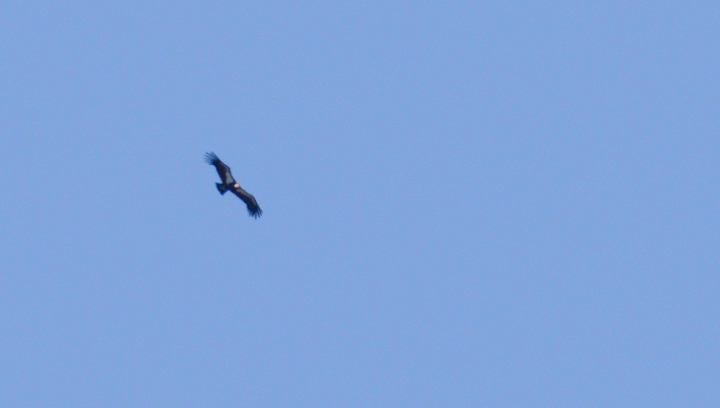 Below: The California Condors we spotted soaring near Bitter Creek were a sight we'll never forget (10/3/2011). 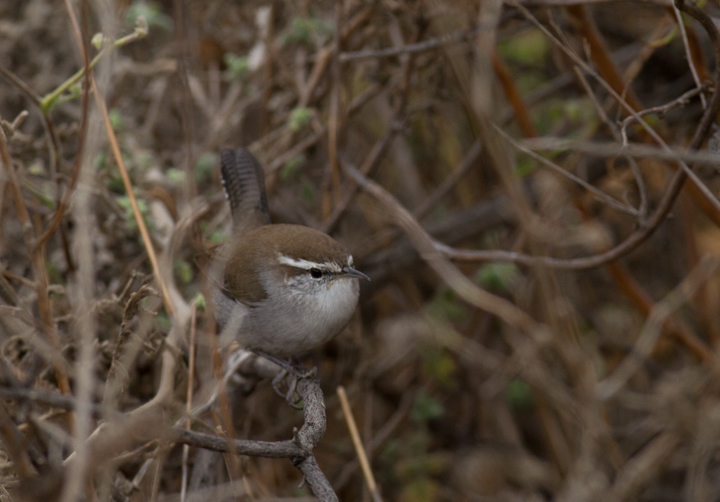 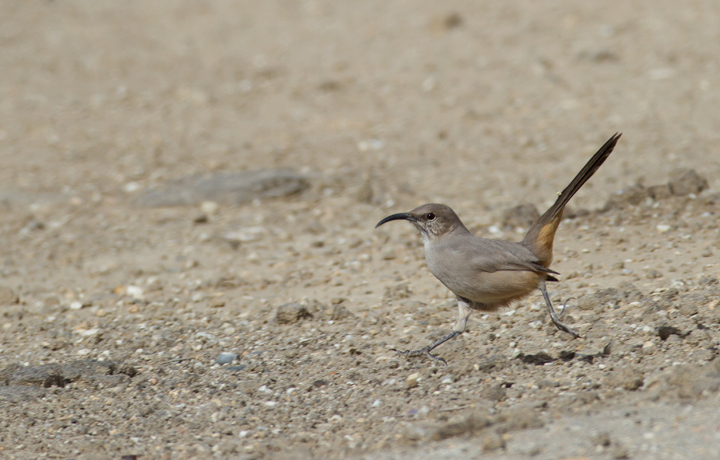 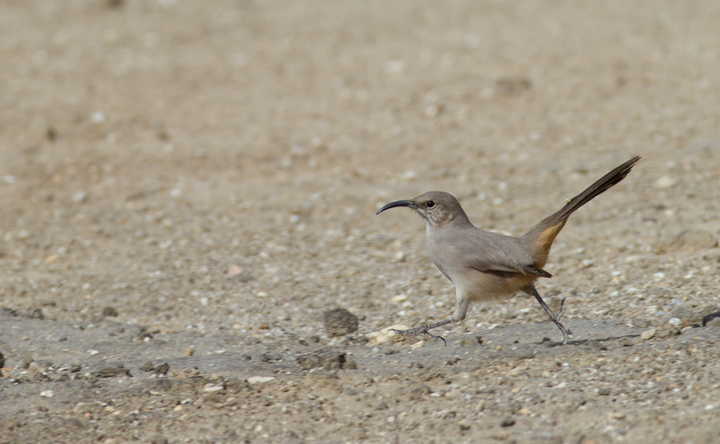 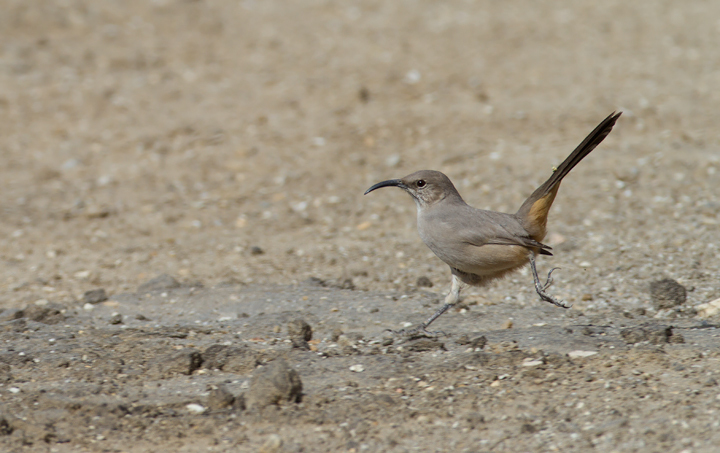 Below: A Bewick's Wren at Lake Piru, California (10/4/2011). 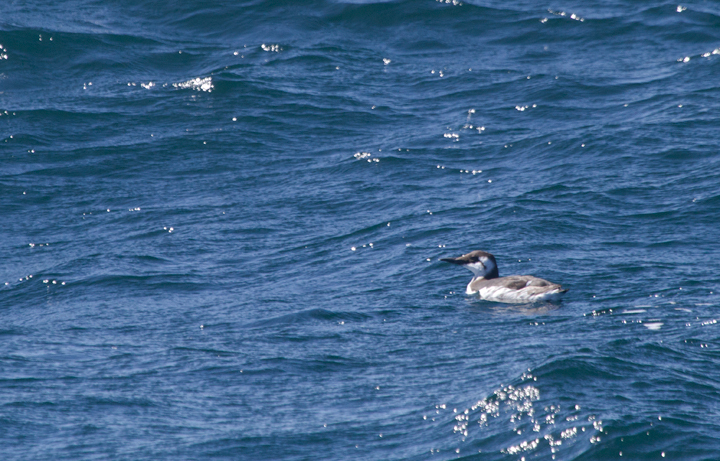 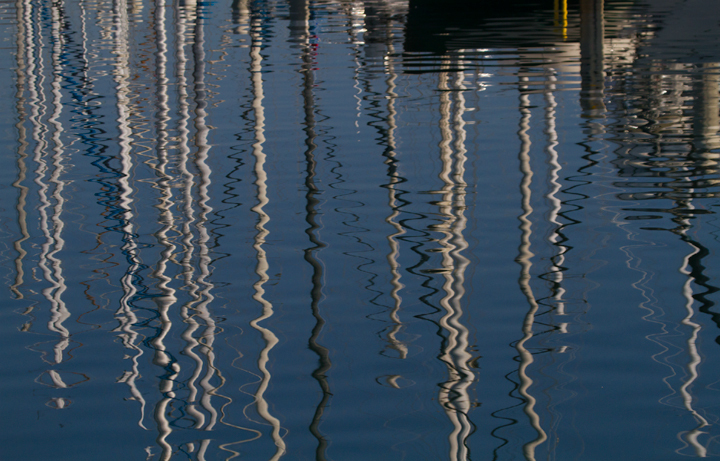 Below: Common Murres off Santa Barbara, California (10/1/2011). 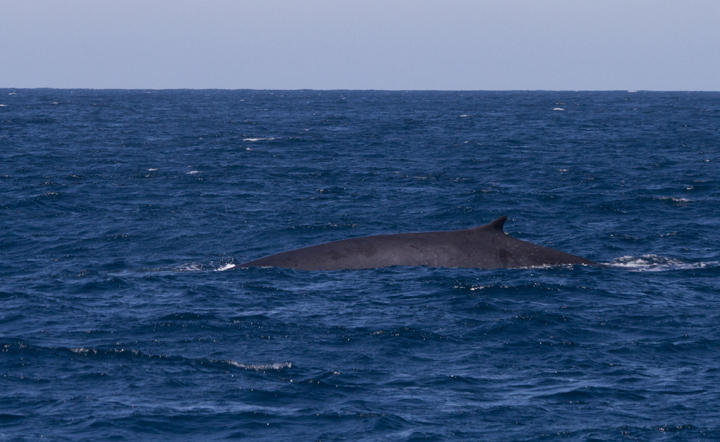 Below: A Fin Whale far offshore Santa Barbara, California (10/1/2011). 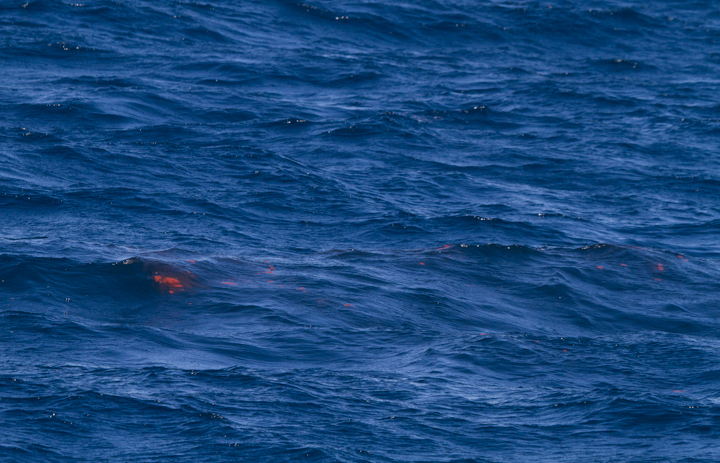 Below: Fin Whale waste left before one individual disappeared into the deep. Below: Elephant Seals hauled out in the distance in the Channel Islands, California (10/1/2011). 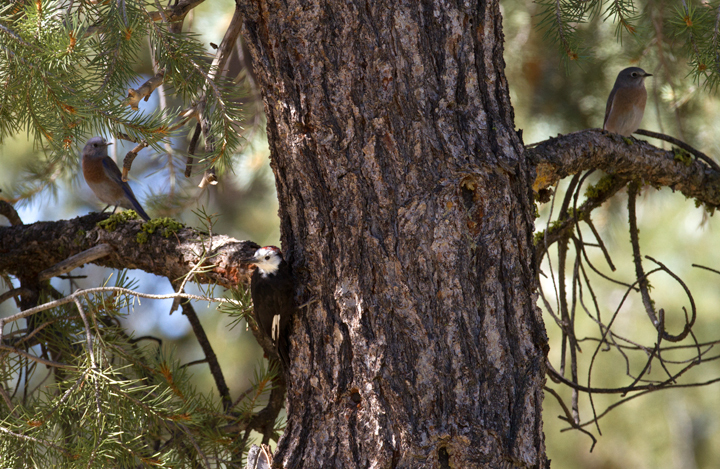 Below: A distant male Lawrence's Goldfinch near Mt. 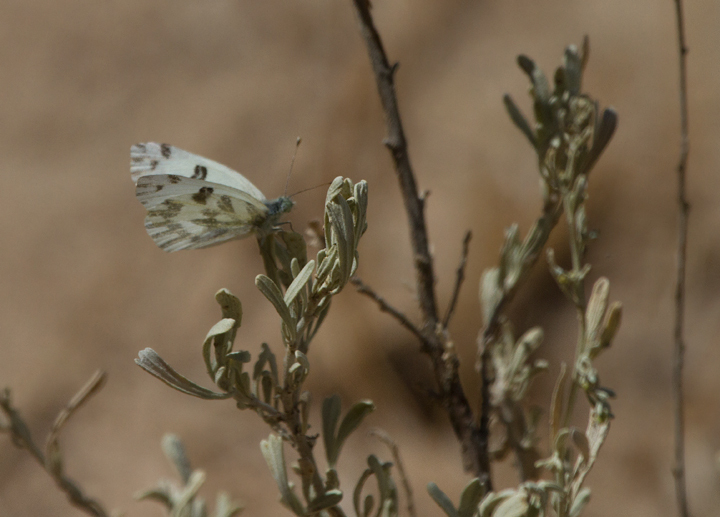 Pinos, California (9/30/2011). 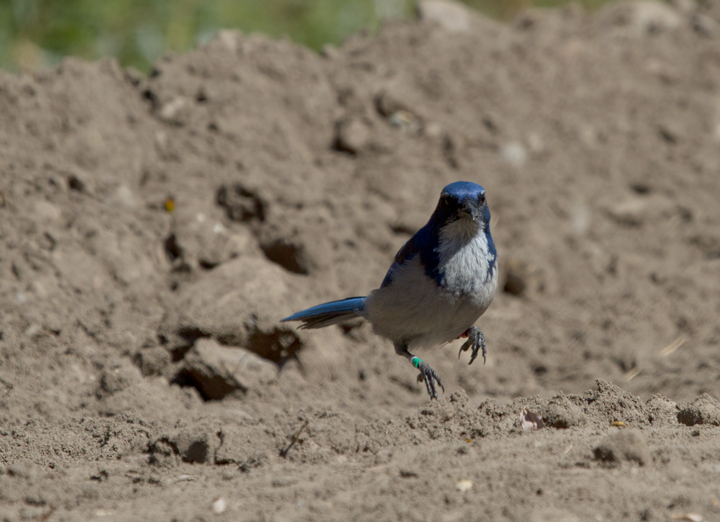 Stay tuned for far better photos. 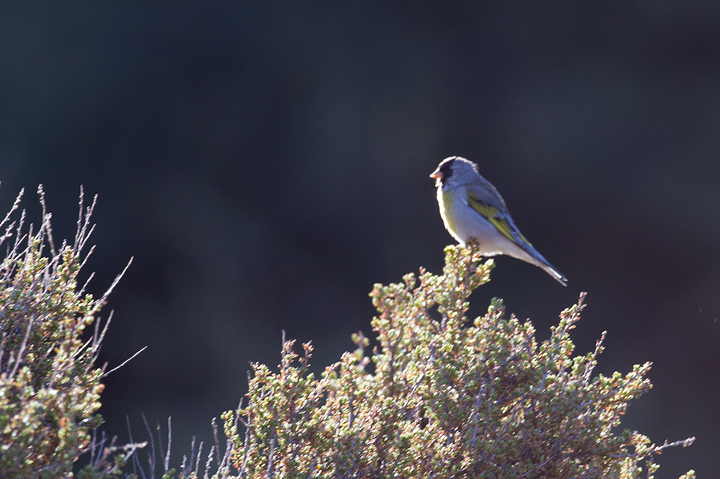 A highlight of the trip was encountering a flock of 120 Lawrence's Goldfinches! 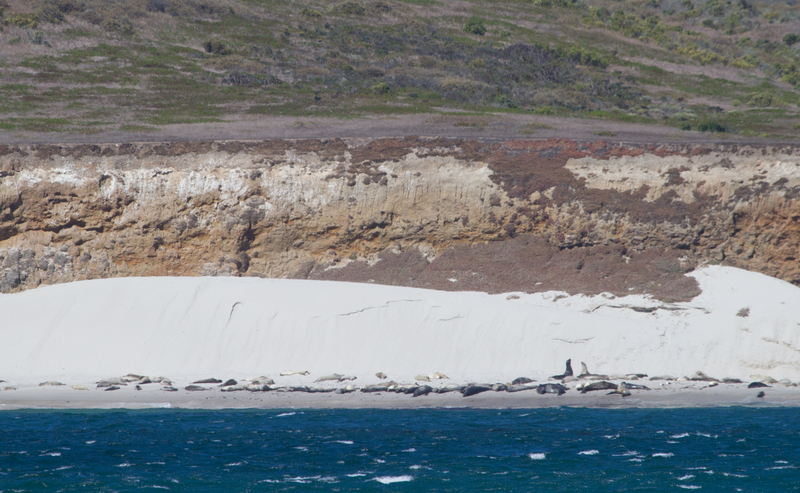 Below: A Marine Blue on Santa Cruz Island, California (10/2/2011). 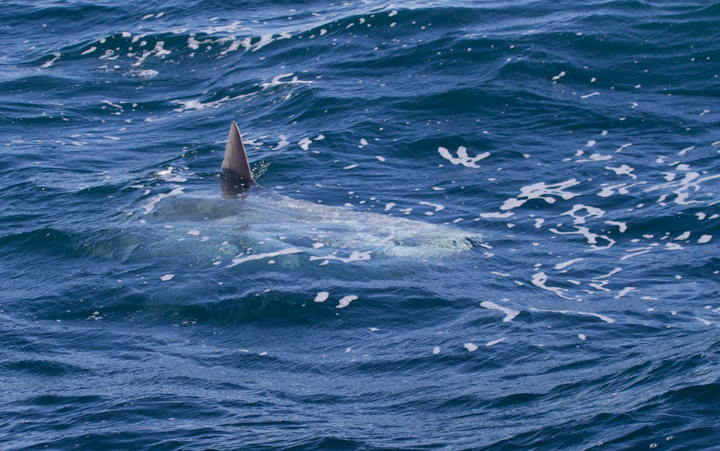 Below: A Mola Mola, or Ocean Sunfish, off Santa Barbara, California (10/1/2011). 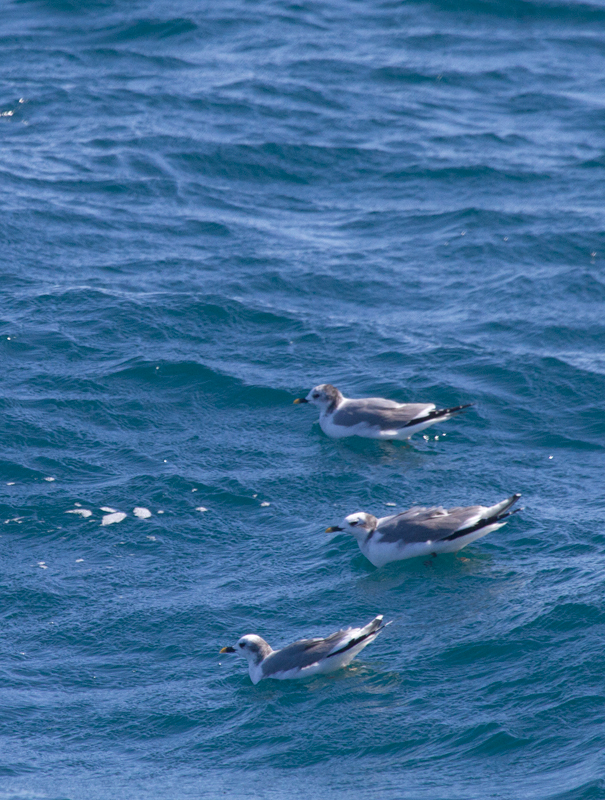 Below: A Northern Fulmar off Santa Barbara, California (10/1/2011). 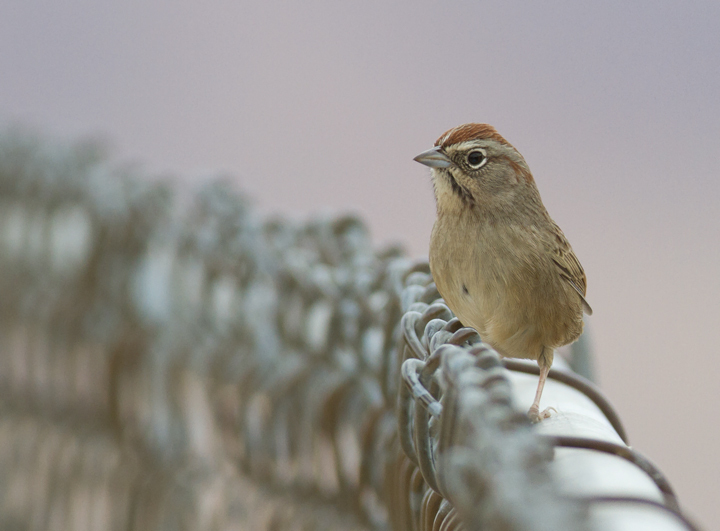 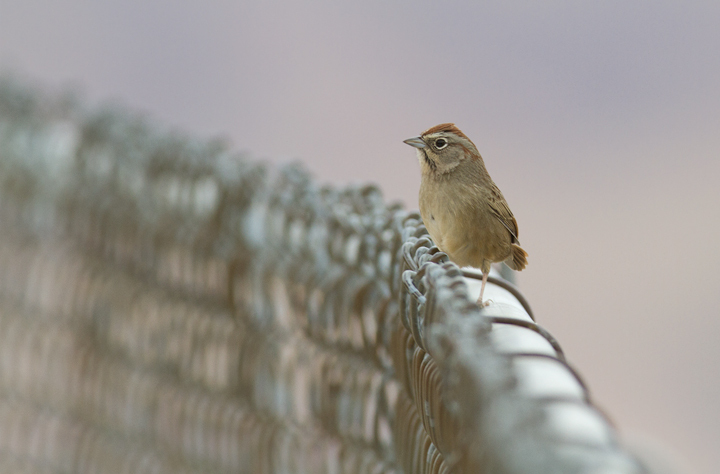 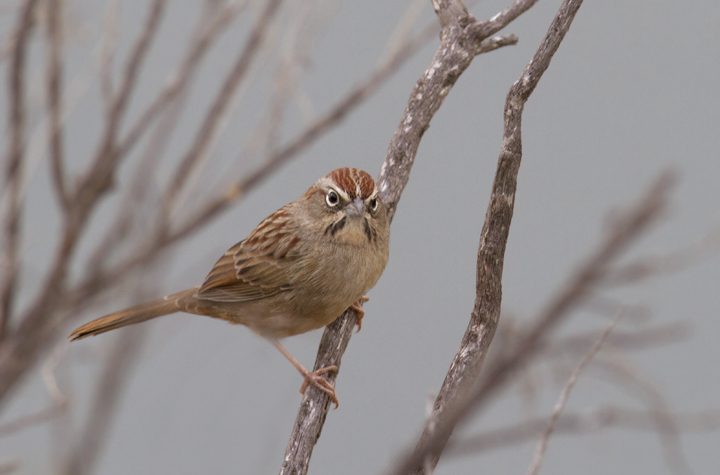 Below: A Rufous-crowned Sparrow near Lake Piru, California (10/4/2011). 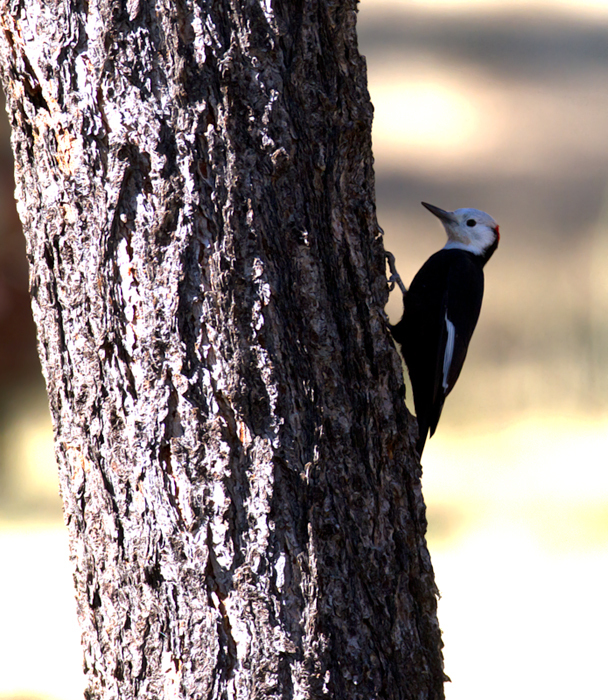 Below: White-headed Woodpecker at Apache Saddle, California (9/30/2011). 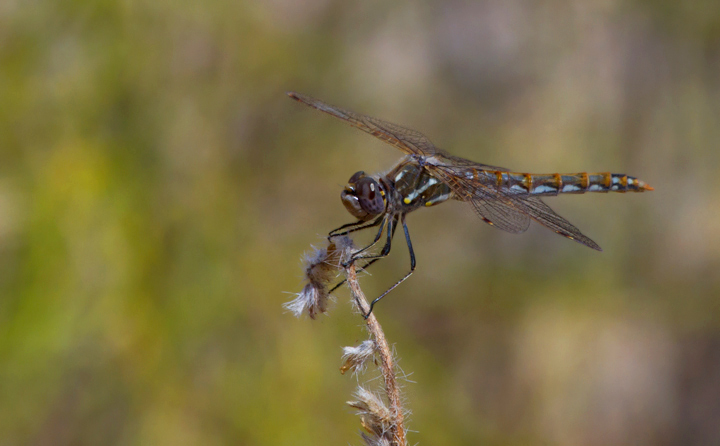 Below: A Variegated Meadowhawk in Jawbone Canyon, California (10/5/2011). 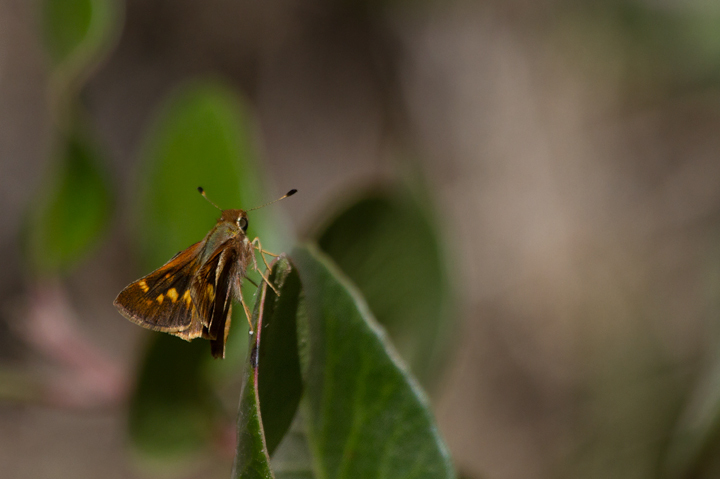 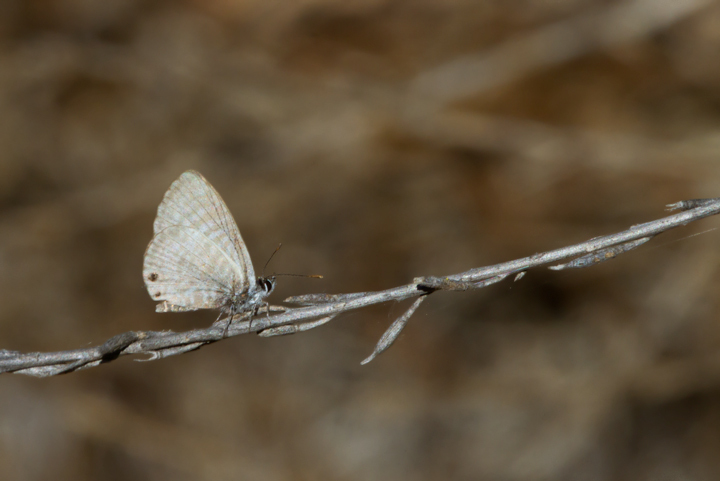 Below: An Umber Skipper on Santa Cruz Island, California (10/2/2011). 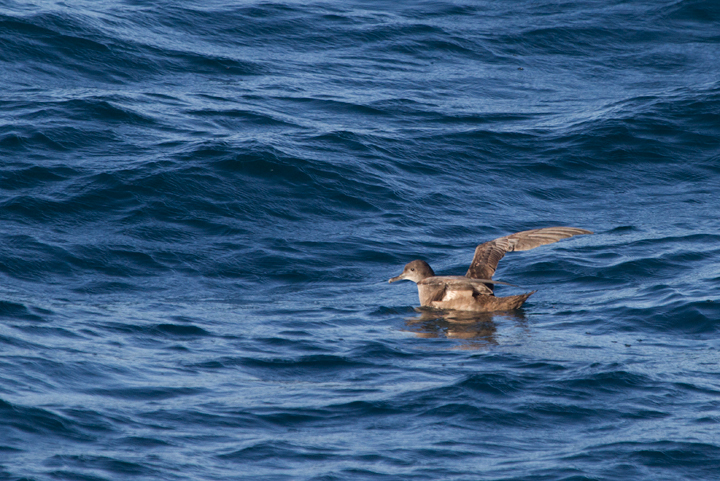 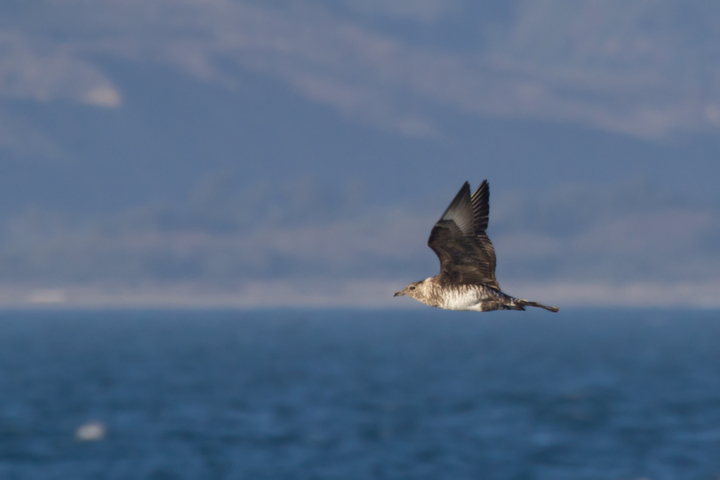 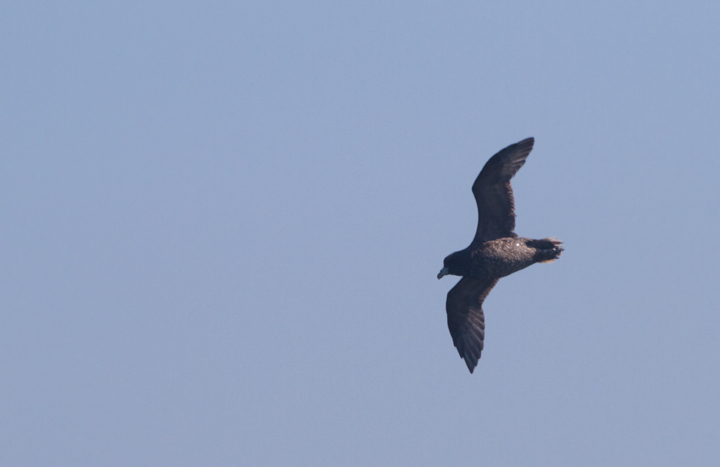 Below: A Sooty Shearwater off Santa Barbara, California (10/1/2011). 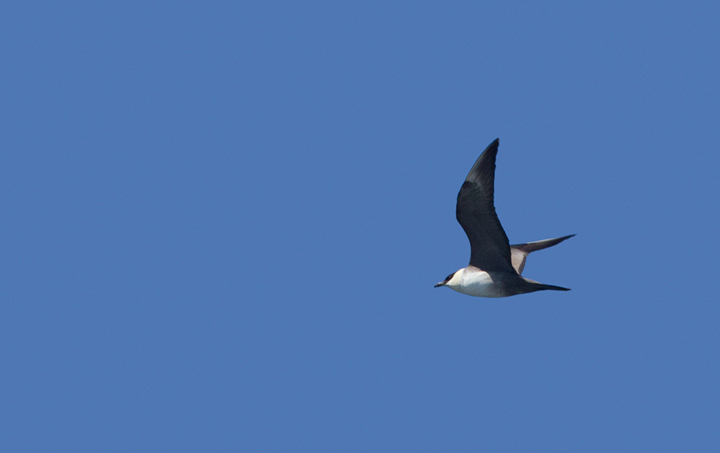 Completing huge figure-eight migrations along the shorelines of the continents, this species completes perhaps the longest migrations of any species. 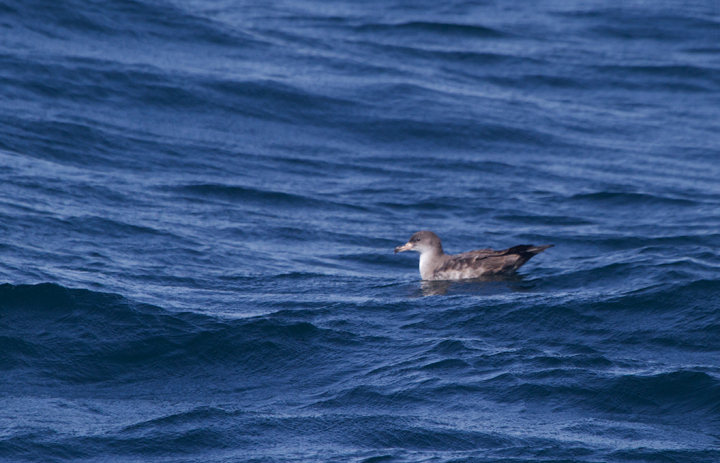 Below: A Pink-footed Shearwater near the Channel Islands off Santa Barbara, California (10/1/2011). 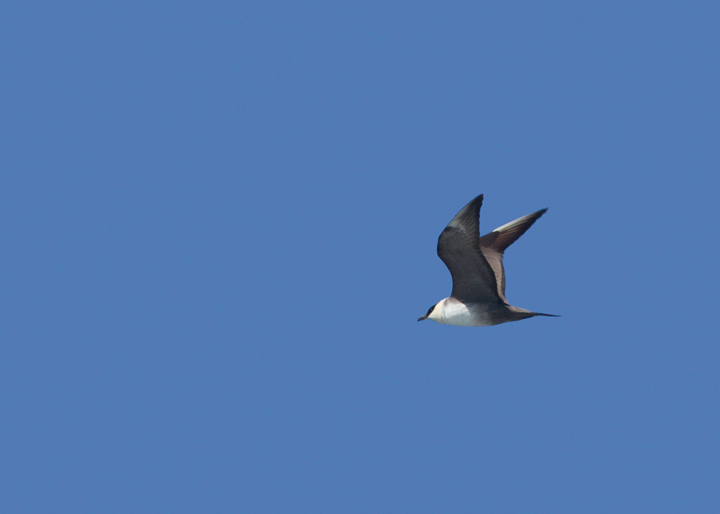 Below: An adult Long-tailed Jaeger offshore in Santa Barbara Co., California (10/1/2011). 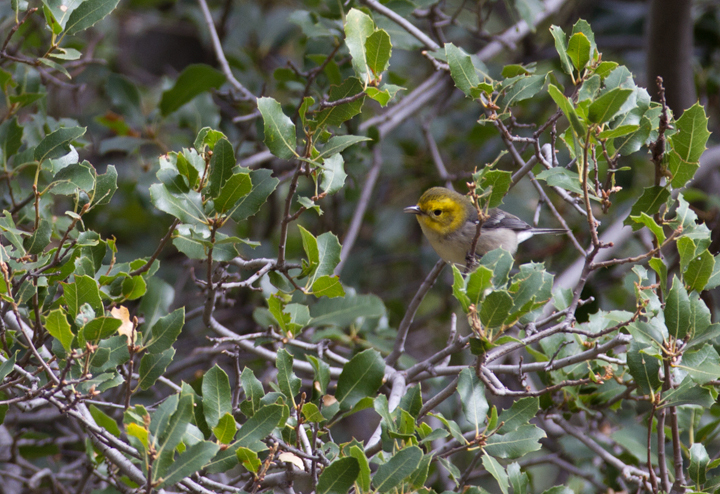 Below: A Hermit Warbler near Hughes Lake, California (10/4/2011). 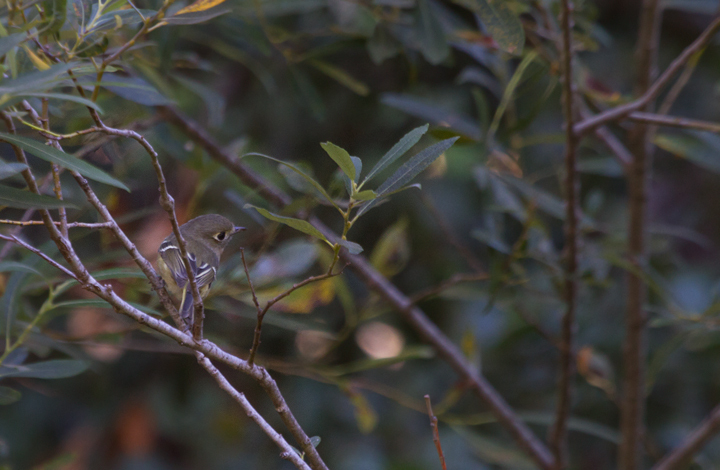 Below: The endemic subspecies of Hutton's Vireo found on Santa Cruz Island, California (10/2/2011). 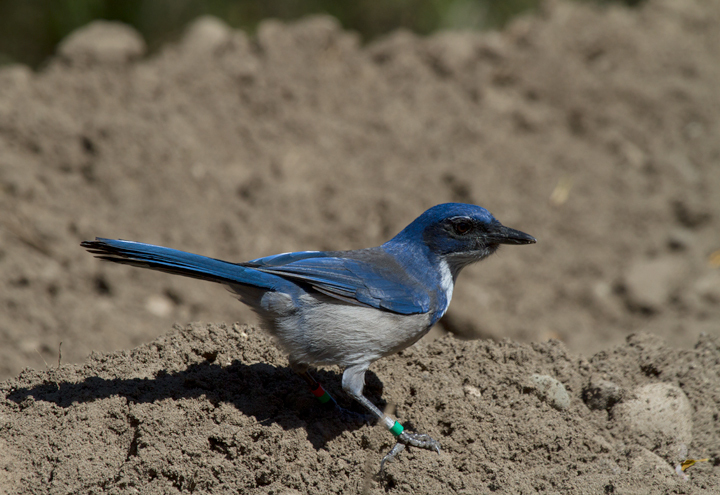 Below: An Island Scrub-Jay on Santa Cruz Island, California. 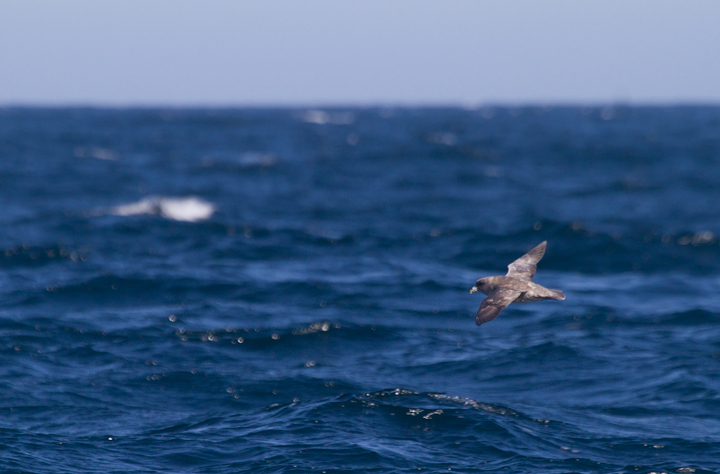 Among other features, this endemic species is distinctly brighter blue and has a much larger bill than its mainland relatives. 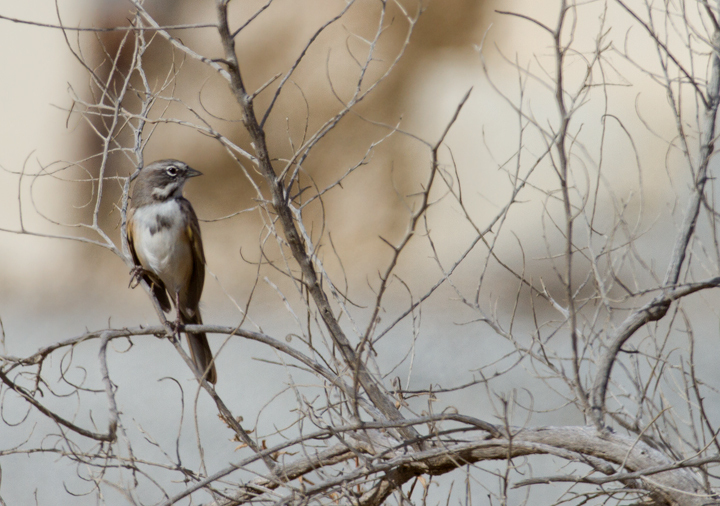 Below: The canescens subspecies of Sage Sparrow near Maricopa, California (10/3/2011).